Prof. dr. Greet Van den Berghe is head of the Department & Laboratory of Intensive Care Medicine at the KU Leuven University, Belgium. This intensive care unit is a large tertiary center treating over 3300 patients per year, adults as well as children. 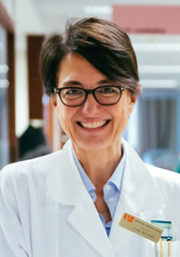 Greet Van den Berghe is also full Professor of Medicine at the KU Leuven University and has been running an active research program on the endocrinology of critical illness since 1995. She has published extensively in the field of intensive care and of endocrinology. She is currently holder of a personal “advanced” grant from the Horizon 2020 Program of the EU and a Methusalem grant from the Belgian Government.